Fraser Valley is the section of the Fraser River basin in southwestern British Columbia, downstream from the Fraser Canyon. After descending through the rapids of the Fraser Canyon, the Fraser River emerges almost at sea level at Yale, over 100 kms inland. The river passes through some of the most fertile agricultural land in British Columbia, as well as the heart of the Greater Vancouver region, on its way to the mouth of the Georgia Strait. During the last ice age, the area that would become the Fraser Valley was covered by a sheet of ice, walled in by surrounding mountains. As the ice receded, land that had been covered by glaciers became covered by water instead, then slowly rose above the water, forming the basin that exists today. 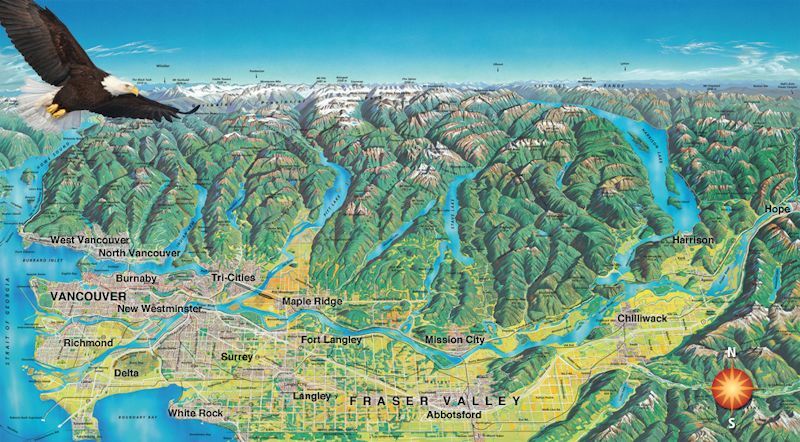 The valley is the largest land form of the Lower Mainland Eco region. This website is for reference only and refers to wineries located in the south-west portion of the British Columbia, starting with Hope and the area through which the mighty Fraser River winds its way down to the sea. The wineries now extend from Vancouver to Chilliwack which is near the foothills of the Coastal Mountain Range . In 2019 we decided it was necessary to separate those wineries located in the countryside with vineyards from those located in an Urban settings. Due to the nature of such cities as Delta, Richmond and Maple Ridge it was not that easy to place the wineries. In the future we will define the regions more. 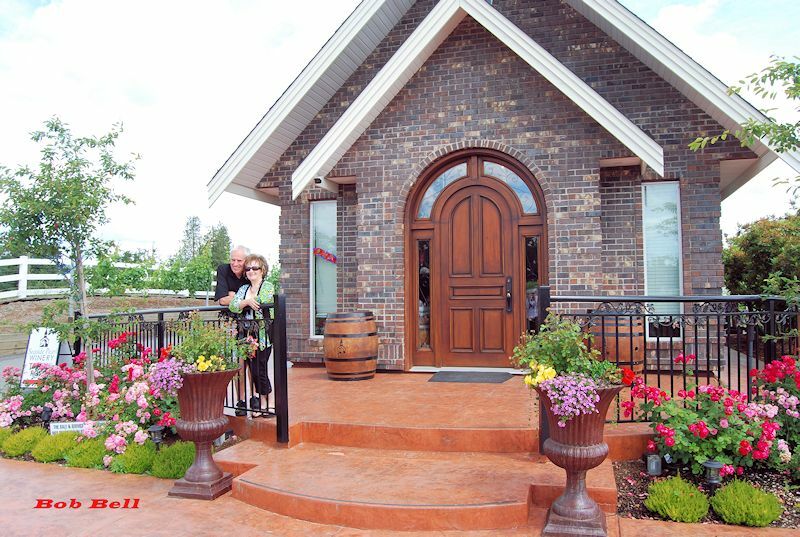 A good example would be Angel Winery officially its in the city of Delta but located on Westham Island a Agricultural region. Paradise Ranch Wines Corp. is another they list their address as Vancouver but have vineyards in the Okanagan.